When I first added the Bb-D1 Active DI box DIY kit in our product range, I quickly discovered that the general idea of this device often causes some confusion. Especially to people who haven’t been recording bass guitars or haven’t performed on stage a lot. I’ve decided to write a short post in order to answer the most common questions I receive from potential customers. So, what is a DI box? The general definition – a DI box (DI, direct box, direct inject box or direct input box) is device that converts an unbalanced signal into balanced and provides the impedance bridge between high impedance output and low impedance input… OK, now what it all means. First, DI box is not a preamp! The main difference of DI box vs preamp – a DI box does not amplify you signal. Quite opposite – it attenuates the level. There can be different levels of attenuation, but most common are within -12db (4:1 ratio) and -18db (8:1 ratio). So, What is a DI Box in Simple Words? OK, the general idea. The pickups of your passive bass or electric guitar have very high output impedance (Z-out). The value is not linear and depends on frequency. In any case, it is higher than the input impedance (Z-In) of a line input and much higher than the one of a microphone input. However, there is a rule of thumb for impedance bridging. Your input impedance must be at least 10 times your output impedance. In order to connect the higher output impedance to a lower input impedance you have to use an active buffering device. The one that has a very high input impedance and a very low output impedance. Such bridging is the first (and main) function of a direct box. The second function of a DI box, as I’ve mentioned, is a conversion of an unbalanced signal into a balanced one. The in-depth explanation of these signal types is out of the scope of this article. But in short words – your basses or guitars have the unbalanced outputs. The main problem with unbalanced cables is the length limitation. Such cables tend to pickup noise very easily and thus cannot be long. Otherwise you will end up with the huge amount of hum. On the other hand, the balanced lines can be very long without any perceivable quality loss. As an example – all the microphones use balanced cables. Balanced XLR output of an active DI box. It is ultimately important in the stage work. The mixing console is usually very far from the stage. If you need to plug your bass there, you cannot simply run a long guitar cable due to aforementioned reasons. That’s when the DI box comes to rescue the situation. You can put it nearby and use the short guitar cable to plug in. 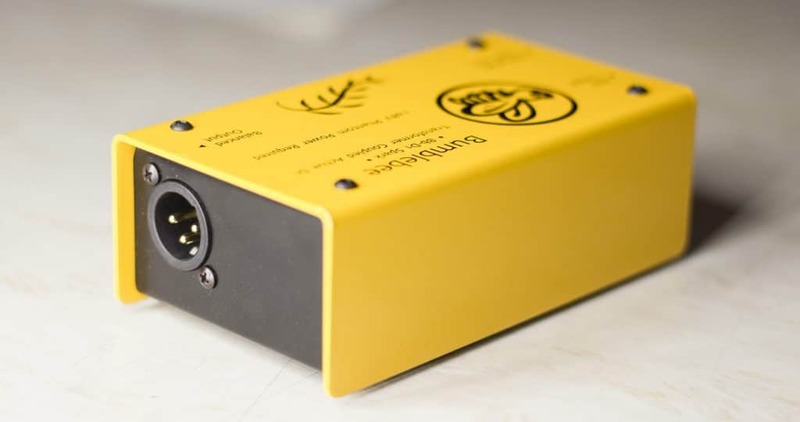 The DI box will feed the balanced signal to a mixing console through a long cable run then – the problem solved! So, Why Does a DI Box Reduce the Signal Level? The latter functionality explains why DI box attenuates the signal level. The balanced cables are normally plugged into the microphone inputs. They are very sensitive and a signal level from a guitar pickup can easily clip the console input. Thus, in order to stay on the safe side, the direct box attenuates the signal. The engineer can always add more gain on the console if needed. The microphone input provides a one more very convenient feature – a phantom power. It is mainly used to power up condenser microphones. However, many other equipment types make a good use of it too. Most of the active DI boxes are phantom powered. It is very convenient indeed – you don’t need a battery or an adapter. Your DI box gets powered from a mixing console via a microphone cable. Clean and reliable, isn’t it? Pro engineers extensively use DI Boxes in their studios. Many home recording enthusiasts know what is a DI box too, and it often becomes an essential tool in their studio. 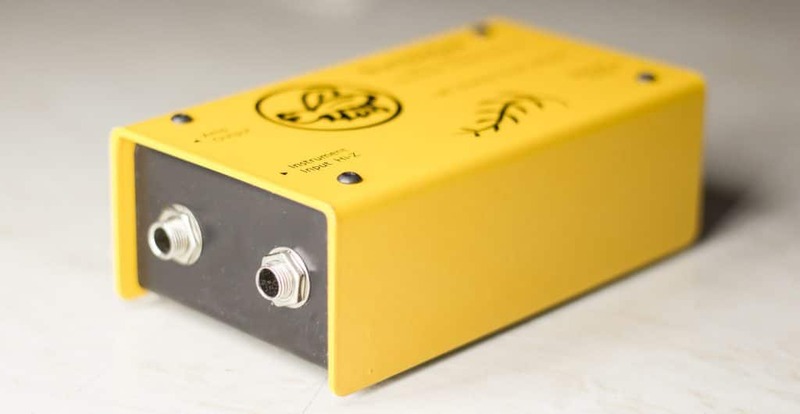 DI boxes are used when you need a direct connection of a guitar or a bass to professional recording equipment via the microphone input. Quality DI boxes can make a night and day difference in recording quality sometimes. So, it is worth to give one a try. And the last thing to note – everything above is mostly related to active DI box, the one that needs the power to function. There are also passive DI boxes, that don’t need any power. A passive DI is simply an audio transformer in the box. The main downside of a passive DI is its relatively low input impedance. It can’t be high due to natural reasons, otherwise the transformer would have to be unreasonably big. 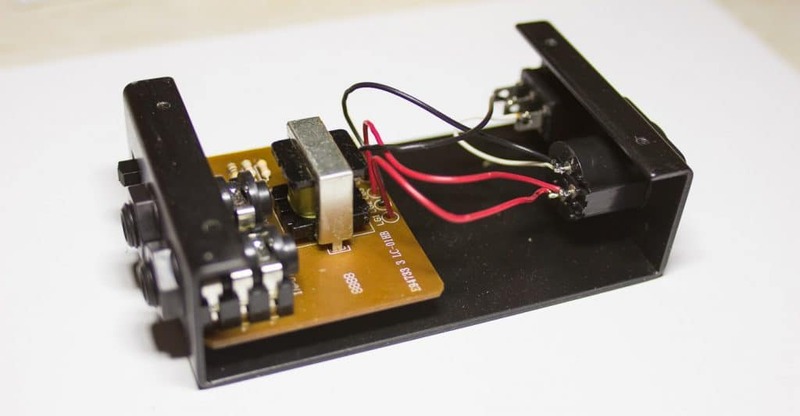 So, you can’t use a passive DI box passive guitars and basses if you want proper results, but you can use them successfully for active equipment, as it already has low output impedance. For example, passive DI works great with active basses and guitars, keyboards, DJ equipment, samplers and any other electronics that might be used on stage. I hope that this post have helped you to understand what is a DI Box and how it works. Feel free to leave the comments if you have anything to add or need some extra clarification. Posted in Beginner's Guide and tagged active di, direct box, passive di.